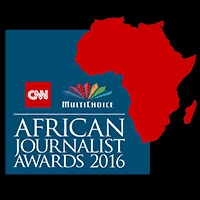 Home / CNN Multichoice award / CNN Multichoice African Journalist AWARDS 2016. The deadline for entries has been extended until 4th April 2016. Please click here to read the rules of the competition. *.Communicate the story in a way that makes the topic accessible and relevant to their audience. *.Display well organised research and insight. *.Was broadcast or published, in English, French or Portuguese, between January and December 2015 with proof supplied. The journalists selected by our panel of judges will enjoy an all-expenses paid finalists' programme of networking activities and workshops, culminating in the Gala Awards Ceremony. Each finalist will receive a cash prize, with each category winner also receiving a laptop computer and printer. *.English, French and Portuguese entries are to be submitted using the online entry form on this site. *.You can only enter a maximum of 2 stories across all categories. Please carefully review your work of 2015 and enter your best story/stories in the most suitable category. You may enter a maximum of 2 stories, either both into a single category or 1 each into different categories. *.Fill in all the details requested on the entry form and upload all requested information. *.Ensure you upload a copy of your up-to-date Curriculum Vitae and any background information on your entry/entries, that you feel relevant. *. Print - Please include the PDF scan(s) of the published article. The text of the article must be legible. Maximum file size: 5 MB - Allowed format: PDF only. *.Radio – Upload the SoundCloud link (SoundCloud is an online audio distribution platform that enables its users to upload and share their originally-created sounds). *.Photo - Upload the photo(s) as well as a scan(s) of where the photo(s) was (were) published. Maximum file size: 10 MB - Allowed extensions: png gif jpg jpeg. *.TV Material - Upload the YouTube link (YouTube is a video sharing platform). TV pieces are to be initially uploaded to You Tube and radio pieces uploaded to SoundCloud. If you are not a member of these sites, you will need to register with these in order to upload the video or radio pieces. Once you have the link to these, you will need to provide the link in the online entry form when you input your story details.